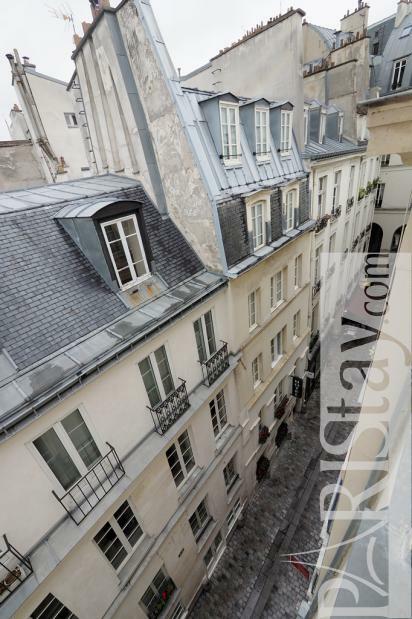 Convenient Paris furnished studio apartment for rent beautifuly located in the heart of Saint Germain des Prés beside the lively Place Saint andré des Arts and the famous Place Saint Michel. 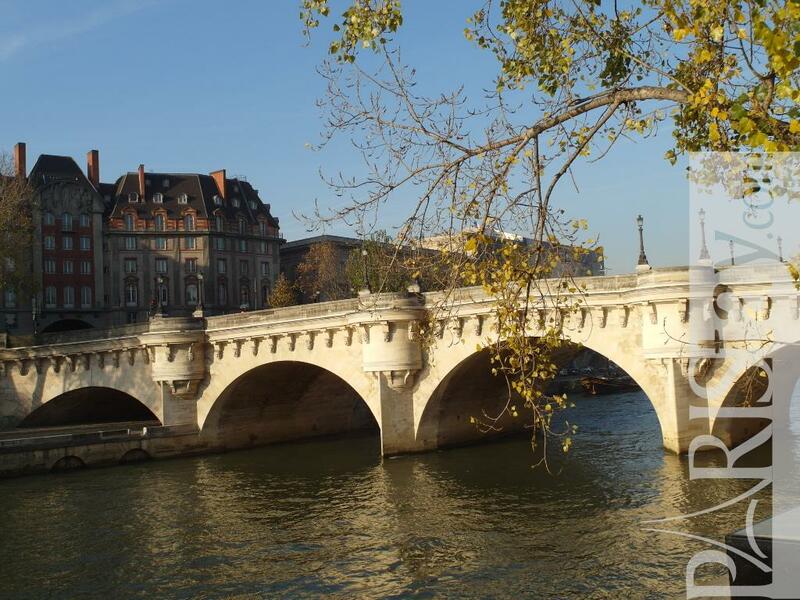 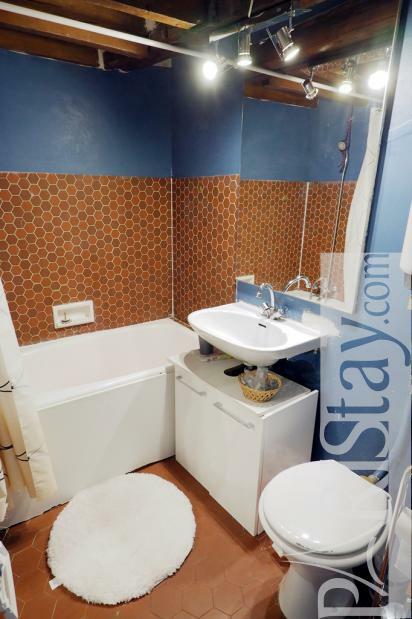 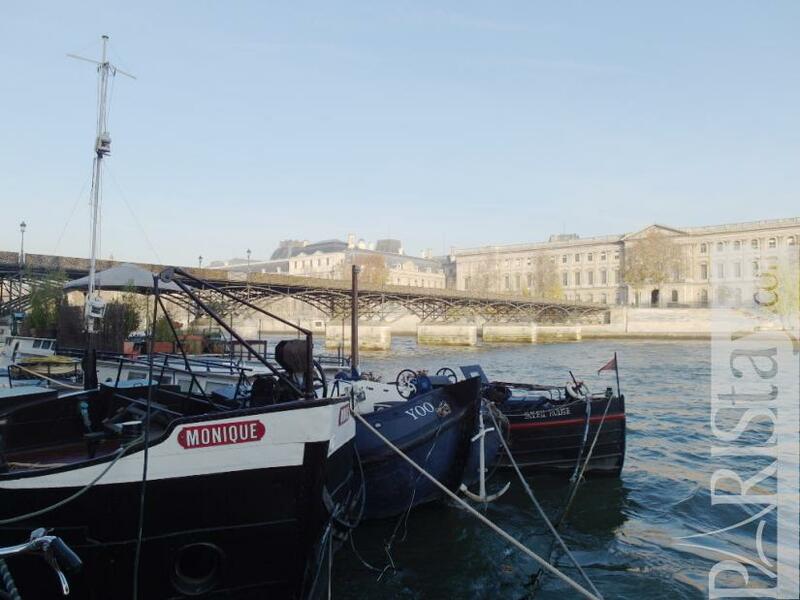 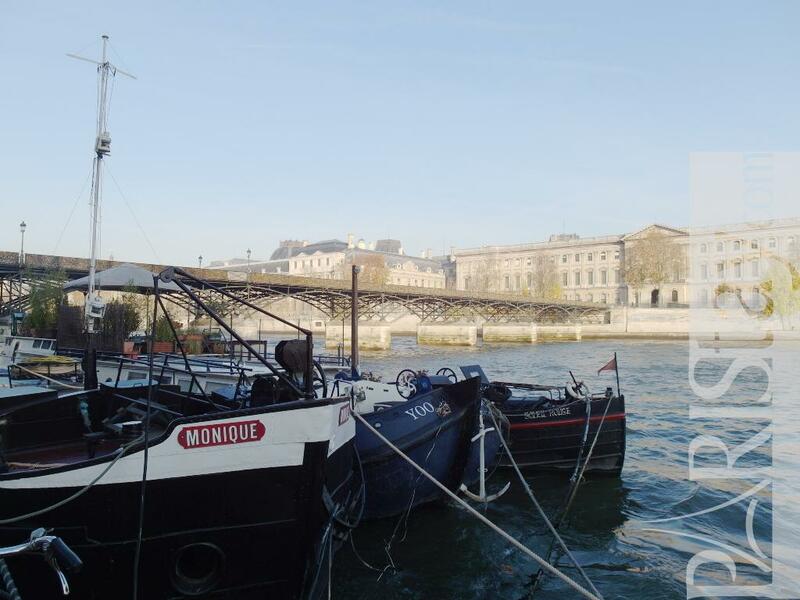 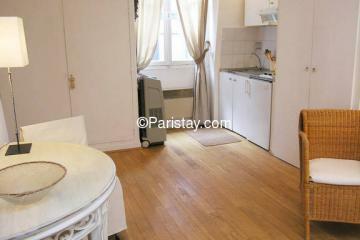 Easy walking distance to River Seine, Ile de la Cité, Notre Dame de Paris, Latin quarter, Sorbonne University, Panthéon University... 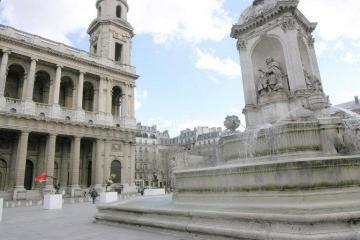 Many trendy Brasseries ans restaurants nearby. 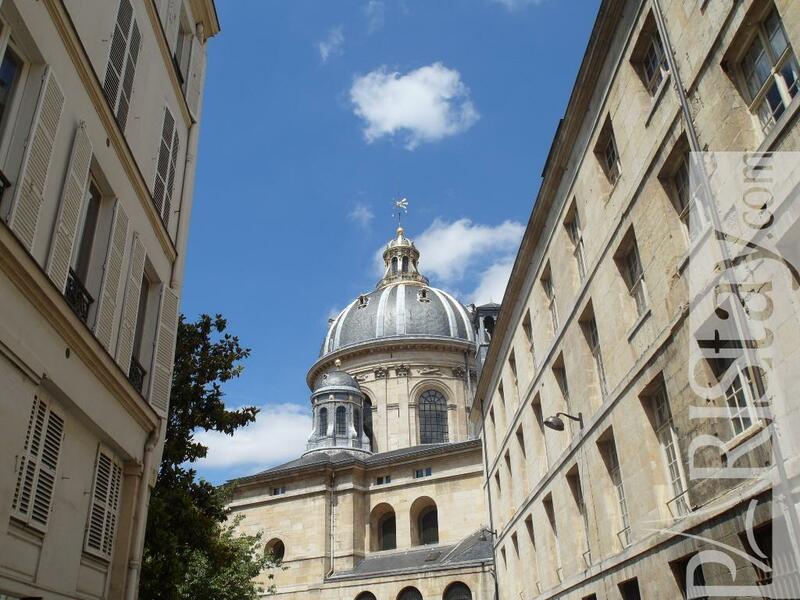 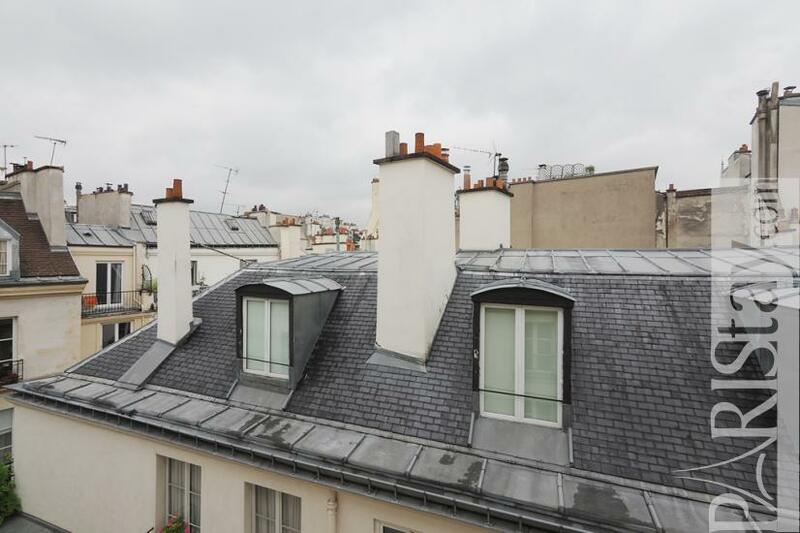 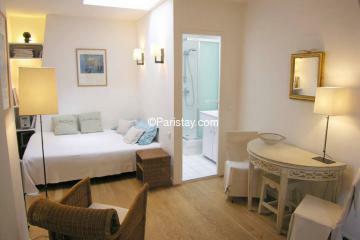 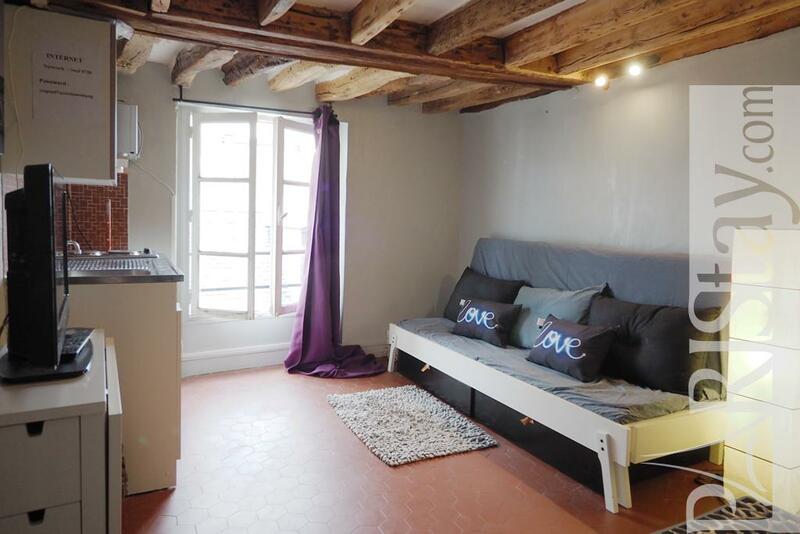 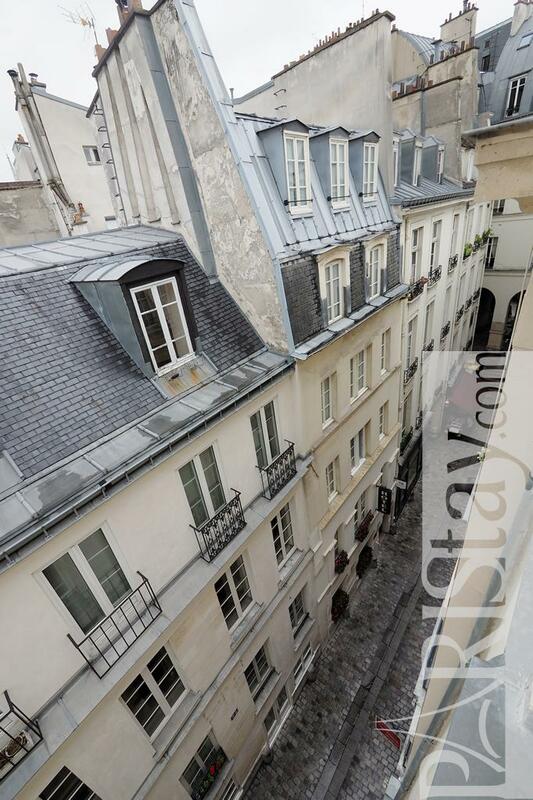 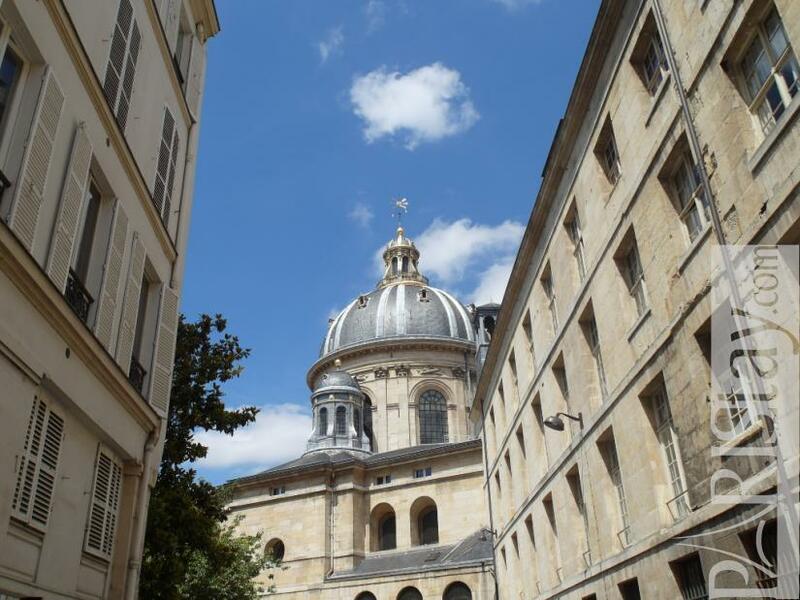 The flat is situated on a wonderful 17th century building, on 5th (no lift) and offers a typical view on Paris rooftops. 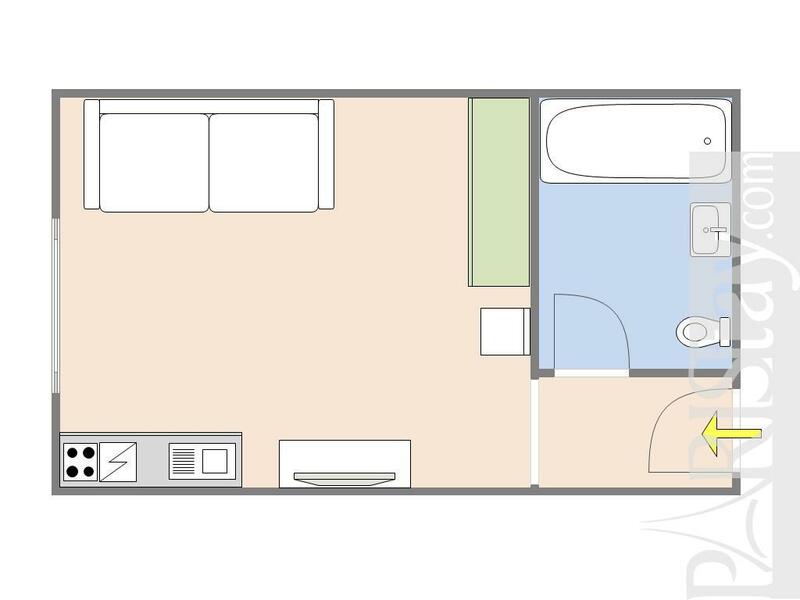 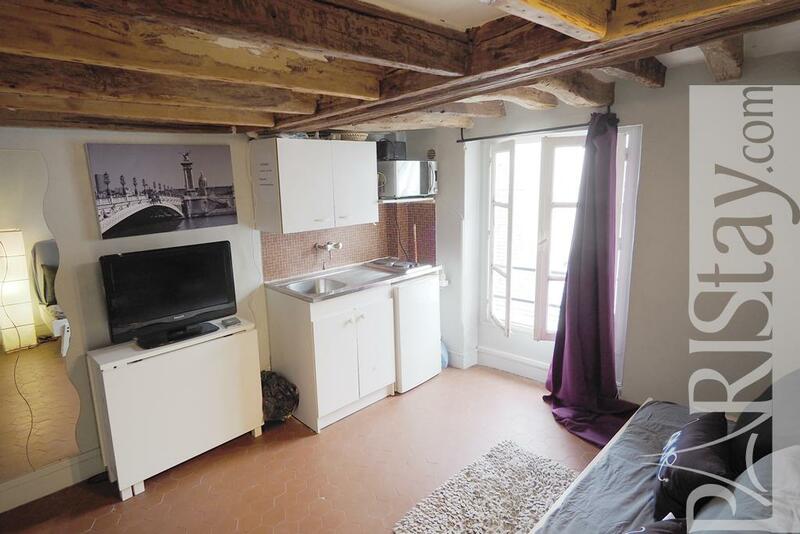 It presents a bright room with a sofa bed and a kitchen corner, a bathroom with a bath tube and WC. 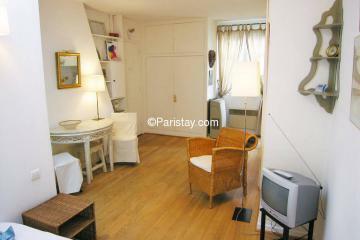 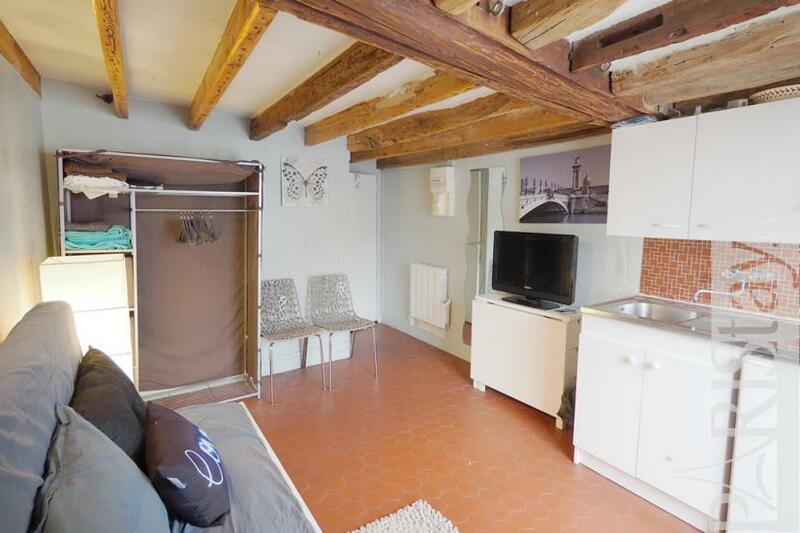 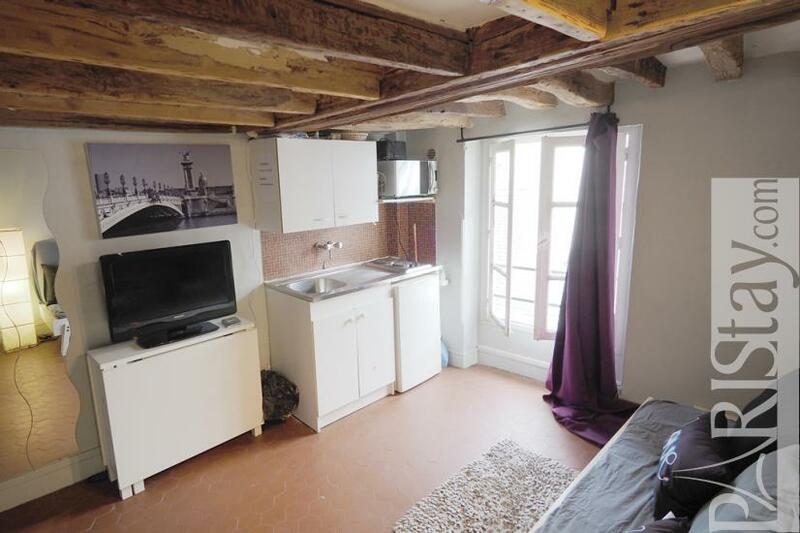 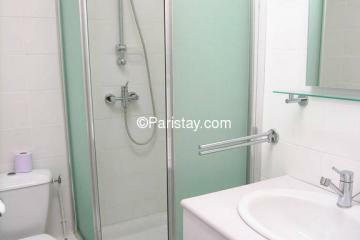 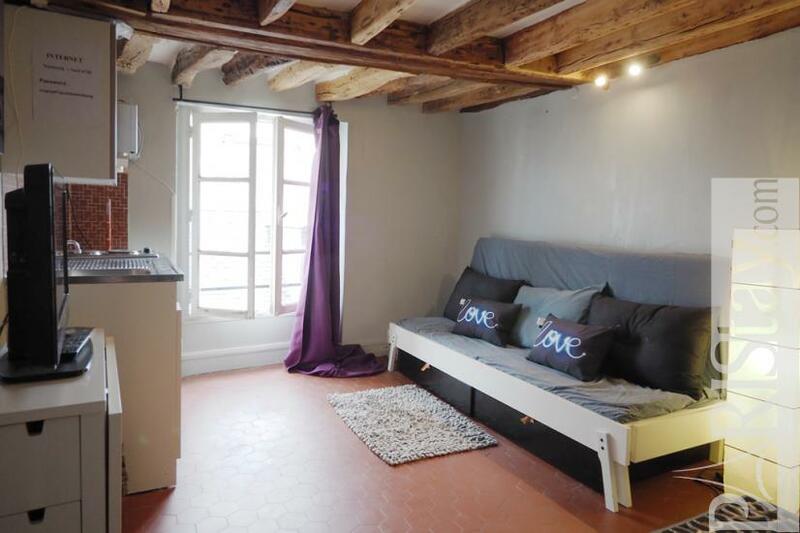 Perfect for a student stay in Paris. 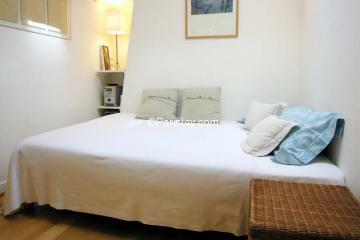 XVI's Building, 5 rd floor, without Lift, Studio Appartement, furnished, Approx: 15m² / 161 Sq.Ft.